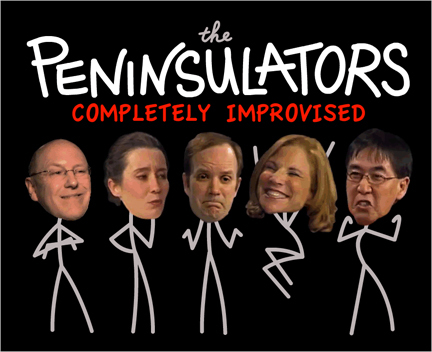 Peninsulators Improv features online shows from the improv troupe The Peninsulators. We make up short scenes, songs, and long-form stories on the spot, based on suggestions from our online audience. Our shows are webcast live at cityofif.com/improv.